ZERO - World Premiere at Tribeca 2019! Our latest short film, Zero, will get its world premiere at Tribeca 2019! We’ve always wanted to screen a film at this incredible festival, so can’t wait to get out to New York at the end of April! Excited to announce that we’ve signed with Matt Schictman and Peter McHugh of The Gotham Group to be our managers. We had some great meetings but Matt and Peter's passion and insight into our work really got us excited about working with them. We can’t wait to get started in 2019! Final Score is out now in cinemas worldwide and VOD platforms. Here in the UK it’s available on Sky Cinema. We had a great night at the UK Premiere of Final Score at the Ham Yard Hotel. It was surreal to see the film for the first time but Scott Mann, the cast, crew and the entire production team did a fantastic job. It’s an unashamedly fun old school action movie which is exactly what we pitched a few years back. Excited for the release! The full trailer for Final Score is out! 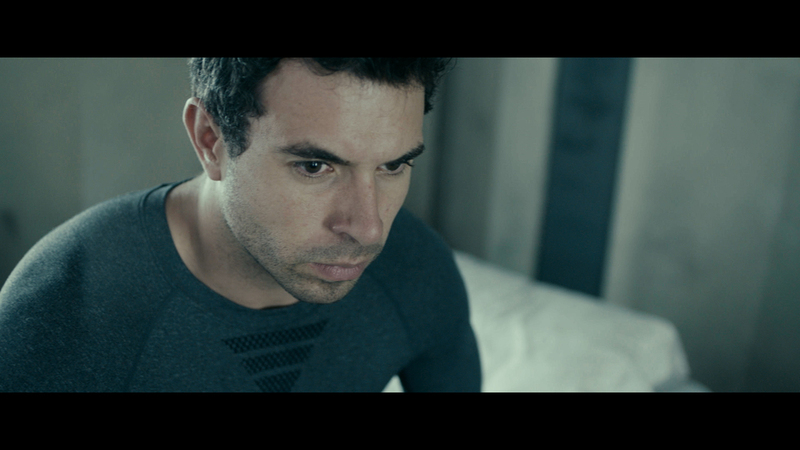 Final Score is an Action Thriller written by us and Jonathan Frank, and directed by Scott Mann (Heist). It stars Dave Bautista (Guardians of the Galaxy), Pierce Brosnan (Goldeneye) and Ray Stevenson (Thor). A group of heavily armed criminals take control of a stadium packed with 35,000 football fans. Ex-soldier Michael Knox is forced to use skills from his military background and everything at his disposal to save the spectators, including the life of a fallen comrade's daughter. Final Score will be released in cinemas and on VOD (Sky Cinema in the UK) in September 2018 in the UK and US. The teaser trailer for Final Score is out. This looks like a lot of fun! 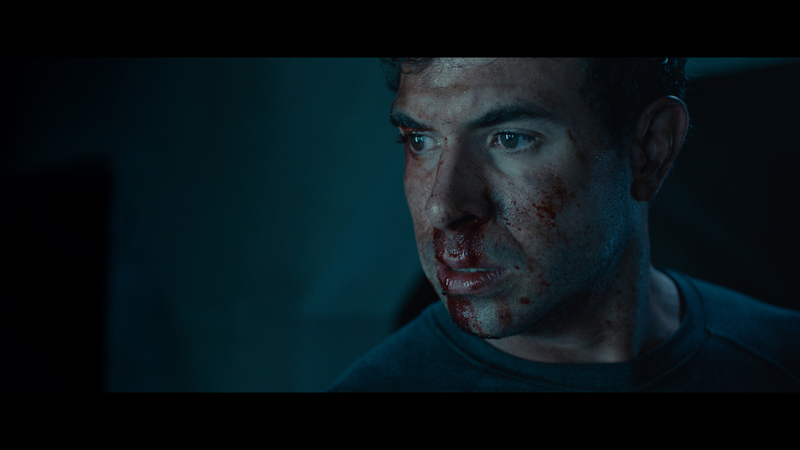 We had an incredible three days on our latest sci-fi short. The crew were fantastic, it was great to work with some old friends and some new ones too and we've no doubt we'll be working with them again in the future. We were so lucky with our cast with Nigel O'Neill and in particular our star Bella Ramsey. She really is an absolute joy to work with. We're very excited to share her performance with you. Now it's on to post where we'll be working with our Trial editor Gareth C. Scales and his editing partner Chris Watson as well as our long time collaborator Carly Paradis, providing us with the score. The excellent team at Molinare have come on board to help us with the sound and the grade so we're in very good hands! There's also the tiny matter of some rather giant sized VFX that we'll be undertaking ourselves... watch this space. We're over the moon to announce our two leads for Zero. Bella Ramsey (who steals scenes for fun as Lyanna Mormont in Game of Thrones) and Nigel O'Neill (star of the superb indie thriller Bad Day for the Cut). Bella will play Alice, and Nigel will play her father John. We've got an amazing location in our home town of Burnham-on-Crouch in Essex. A beautifully decrepit old house that will serve as Alice and John's end of the world safe haven. We'll be working our frequent collaborator Jason Synnott on the production design and joining us for the first time will be the supremely talented cinematographer Adam Etherington. We've got a great team in front of and behind the camera and can't wait to get going. 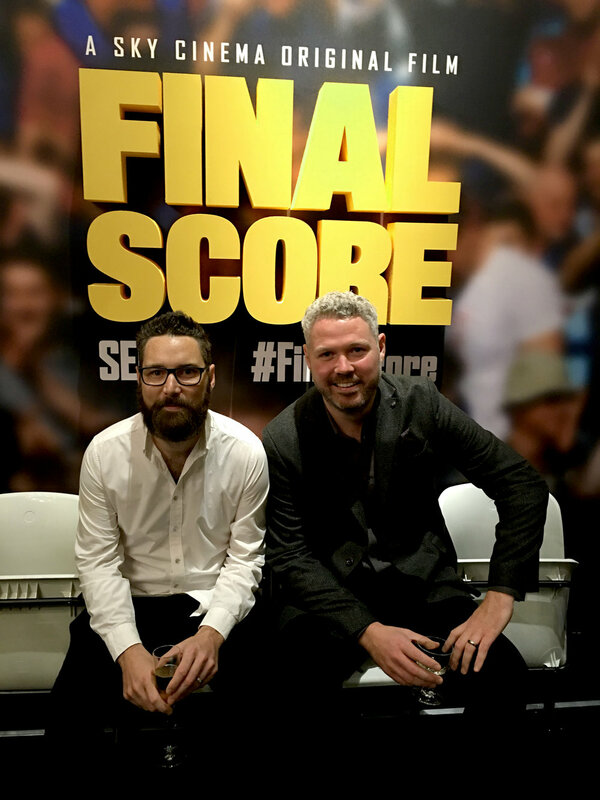 Sky Cinema have acquired Final Score in the UK to be part of their Original Films launch. This is an exciting opportunity to get the film seen by a huge audience and will involve a day and date release on Sky Cinema and in UK cinemas via Altitude. We're excited to announce our next short film project - Zero. Zero is a prequel short for a feature of the same name set in a post apocalyptic world where humankind won in a war against artificial intelligent machines but in doing so destroyed all technology sending us back to the dark ages. Zero is being funded by Gunpowder & Sky as part of their Dust sci-fi channel. Ed Barratt of Hook Pictures will exec produce with Richard Wiley (Hook) and Maria Caruana Galizia (Candle & Bell) producing. Happy to announce that we made the Tracking Board's Young and Hungry list for 2016. This list compiles the top 100 new writers in Hollywood so it's humbling to see ourselves on there. Thank you to the guys at The Tracking Board for the support. Our action thriller original screenplay, Final Score, started shooting yesterday. Starring Pierce Brosnan (Goldeneye, The Thomas Crown Affair) and Dave Bautista (Guardians of the Galaxy, Spectre) and directed by Scott Mann (Heist, The Tournament) and also written by Jonathan Frank. Produced by Signature Entertainment's Marc Goldberg and The Fyzz Facility's Robert Jones, Wayne Marc Godfrey, James Harris, Mark Lane and Dave Bautista. This is our first produced feature screenplay so we're really excited to see what the team create. Should be a lot of fun! Watch our new short film for free now! PLEASE WATCH WITH THE LIGHTS DOWN, VOLUME UP AND FULLSCREEN! Trial is written and directed by The Brothers Lynch and produced by Ed Barratt of Hook Pictures. This is a teaser short for The Brothers' sci-fi thriller feature debut, Residual (Academy Nicholl Fellowship Semi-Finalist; Screencraft Sci-Fi Competition Finalist; The Tracking Board's Launch Pad Competition Quarter-Finalist). Contact info@thebrotherslynch.com for more info. Ecstatic to announce we've signed with Jeff Gorin at WME to represent us in the US! WME are one of the biggest names in the game and Jeff personally reps directors Nicolas Winding Refn (Drive), Jason Reitman (Juno), Cary Fukunaga (True Detective), Damien Chazelle (Whiplash), Shawn Levy (Real Steel), Mike Cahill (Another Earth) and writers Zack Stentz (Thor) and Jonathan Nolan (Interstellar). So we're in truly insane company! We've been in contact with Jeff since he saw and loved our short Dual a few years ago so are excited to finally get to work together. Very excited to announce that a screenplay we were commissioned to write will be directed by Scott Mann (HEIST, THE TOURNAMENT). FINAL SCORE is an action thriller set at a English Premier League football stadium when a group of highly trained criminals take control and demand a ransom. An ex-soldier is forced to use everything at his disposal to save everyone in the stadium, including the life of a fallen comrade's daughter. It's a fun, high-stakes, all-out action movie and we think Scott is going to do a fantastic job. Robert Jones and Wayne Marc Godfrey of The Fyzz Facility and Marc Goldberg of Signature Entertainment will be producing. The Highland Film Group will be handling international sales. Tracking Board's Launch Pad Quarterfinalists! Earlier this year we entered our sci-fi feature screenplay RESIDUAL into The Tracking Board's Launch Pad competition. The Tracking Board is a site we've been subscribed to for some time and is a great way to keep up to date on what projects are selling in the industry. Really happy to say that Residual made it as far as the quarterfinals, which was the Top 50 and the top 3% of submissions. Launch Pad is considered one of the most respected screenplay competitions in the industry so blown away to have made it so far in the competition and gives us continued confidence in our story. Our new short is finished! TRIAL is now complete! And we couldn't be happier with it. Handsdown our best work and really feel like this should be the final piece of the puzzle to get the feature made. Our editor Gareth C. Scales, Supervising Sound Designer Joakim Sundström, Composer Carly Paradis (whom we've worked with on DUAL and OLD HABITS) and the VFX wizards at Bait Studios have done an incredible job and really helped elevate the film beyond what we could have hoped for. 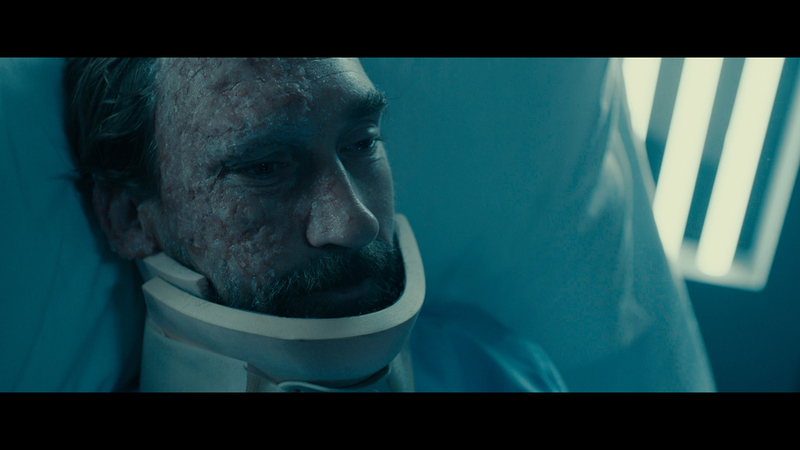 Below are some of the final screengrabs. Looking forward to getting this film out into the world!